As parents, we want to give our children the best and the best food is one of them. 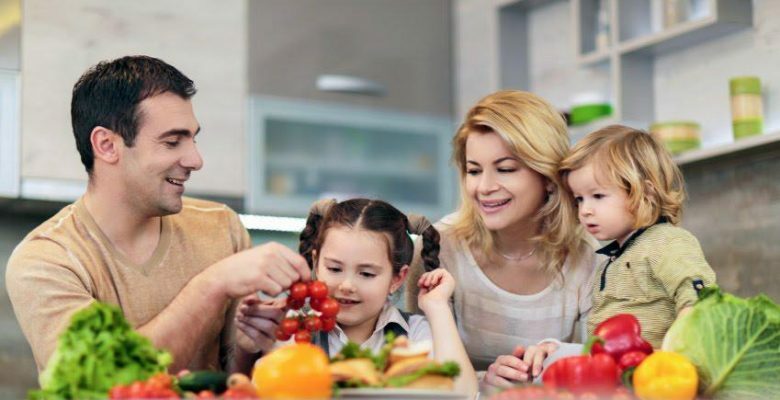 Of course, it is not necessarily easy but it is very motivating because as parents you have much more influence on the food preferences of your children than you imagine . Studies show that children develop their senses, taste, smell, from the 7 th month of pregnancy. Thus, what you eat during your pregnancy will be more likely to be accepted by your child once he is born . These tastes will be familiar to his universe. As a mother, pregnancy is often an opportunity to develop good eating habits because you want to contribute in the most positive way to the good development of the fetus. But it is not the only reason ! The foods you eat while pregnant will be more easily accepted by your baby during his life. This is the perfect time to bet on vegetables and healthy foods! Breastfeeding is clearly recommended for any mother who has a choice . This is the ideal way to provide the infant with all the nutrients he needs so do not deprive him. Of course, breastfeeding can be painful for some mothers and therefore a source of guilt for not breastfeeding. Do your best for yourself and your baby. In addition to strengthening the immune system, breastfeeding has the great advantage of continuing to sensitize the baby to tastes. The taste of breast milk varies depending on what the mom is eating , so it’s a great way to continue to develop the baby’s food preferences. Prioritize a fresh and diversified vegetable diet is the best way to make him love this type of diet! Breastfeeding is recommended for 6 months to 2 years. The ideal would be to reach at least one year of breastfeeding and then to see you. To each mother her availability and especially: zero guilt! – Avoid giving it refined grains (white) like white rice. This will develop a taste for refined products that are very nutritionally poor products. – Prioritize vegetable purées (from 6 months) that you will ideally make yourself. It’s not complicated and it lets you know exactly what your baby is eating. Choose organic vegetables , which contain no chemicals and vary according to the season! Mashed carrots, peas, artichokes, pumpkin, zucchini, apples, bananas. Choose sweet tastes for her young palate. – Children have an innate taste for sweet so do not hesitate to give preference to salty or bitter tastes of vegetables so that he learns to appreciate them. If you only give him fruit purees, he will be delighted but he will refuse to look at the vegetables. Sweetness: it’s acquired, so let’s work on the rest. Forget juices, sodas or any sweet drink . A child should only drink water for as long as possible! The pressure is strong but it is for their greater good. If they insist on sweetness, compotes and fruit purées are ideal. – Repeated exposure is a powerful vector of pleasure: it is normal not to enjoy certain foods at the start. Do not give up ! According to some studies it would take 5 rejections of the child before he starts to develop the taste for a food . This taste will increase as you go, do not worry. – The emotional context surrounding consumption is also important: a study of children aged 3 to 5 shows that repeated exposure is even more successful when the social context is warm and positive . Everything is in the mind! If your child thinks it is an obligation he will limit himself, if he thinks it is a pleasure, he will adhere! – Finally: you are the example . Your child works by mimicry and he will want to eat what you eat. We can model the operation of the baby to that of the raccoon, which will eat an unknown food only if the adult rat consumes it. Eat and show him that you are tasting to encourage him to do the same. You want a healthy diet for your little ones but for you too, try these minute to win it games. Finally, in difficult times remember that your child will thank you greatly later ! Healthy eating is the key to a healthy body and mind that will provide a strong foundation for your children to realize their dreams and potential in life.